And in exactly two weeks (two weeks?! ), I will be setting up camp to enjoy all of it during my favorite weekend of the year: Coachella. But Coachella involves a lot of prep work to be enjoyed properly. Campground shade should be designed to be both trendy and able to withstand the wind that somehow only rips through the campgrounds when literally everyone is inside the festival and can't take it down to protect it. Outfits need to be planned for style, extreme temperature changes, and the ability to survive a poop-smeared Porta Potty (hope you romper fans have a SheWee in your purse). And then there's those 100+ music acts that you have to listen to in order to plan your days. I know, right? Such a bummer having to listen to so many hours of good music. Let the #coachellaproblems hashtags begin. Well I have good news! (Depending on how much you trust my musical taste.) As with Coachella years of yore, I'm listening to the whole lineup so you don't have to. But unlike previous attempts I'm not going to write about every single band, just the ones I'm planning to see, broken up day by day. Based in London, Sampha has collaborated with the likes of Drake, Solange, and Kanye, only to finally settle down and focus on his solo debut last year. And beautiful lyrics like "No one knows me like the piano in my mother’s home" become all the more heartfelt when you learn that Sampha spent years taking care of his mother before she finally lost her battle with cancer in late 2014. His music is some of the most soulful of this year's lineup. The duo behind Phantogram had a 2016 that I can identify with and they put all of it into their third LP, aptly title "Three." As they shared with Pitchfork, this album was about "the idea that all of our heroes are gone—of everyone and everything being destroyed around us and we’re still standing, and we’re still pushing on, and we’re still moving forward." Word. Don't worry: I also want to punch myself in the face every time I hear "Safe and Sound." But that doesn't stop my excitement for this set which I think will be one of my favorites of the night. This is a set made for the early night desert winds, though based on their placement, they'll be slated for the late afternoon, probably on the Coachella stage. Something about this band name makes me think of a bad 90s tattoo and I still sing their most famous song incorrectly ("parking lot dreams"), but I enjoy them and I think they'll sound great Friday night. 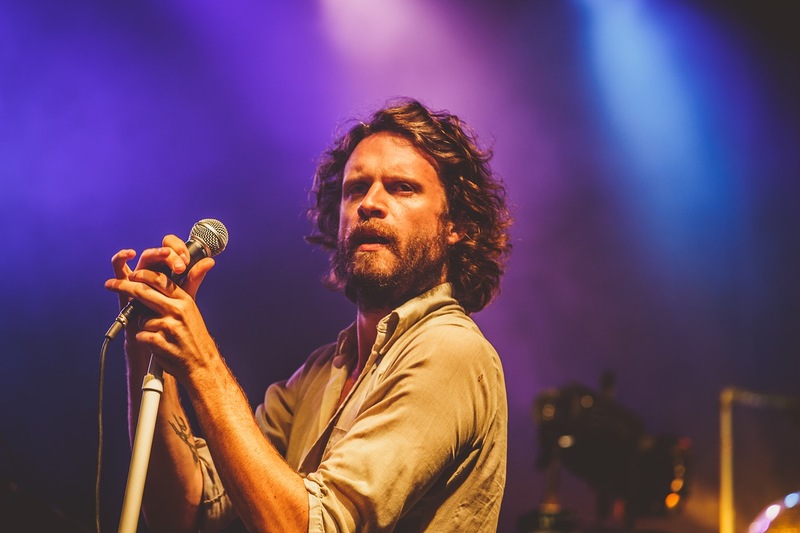 I don't know how I've missed out on Father John Misty for so long. They're so far up my alley, the alley might be named after them. I'm skeptical about Coachella's Friday night headlining slots being a great combo for his tunes (his concert at Red Rocks with Jenny Lewis sounds like a summer dream come true), but that won't keep me away. Not because I want to. Just to make that known. I've never been much of a Radiohead fan and they didn't change my mind in 2012. Ideally I will be watching this set from the beer gardens, red wine in hand. This band is one of my favorite discoveries from this year's lineup. 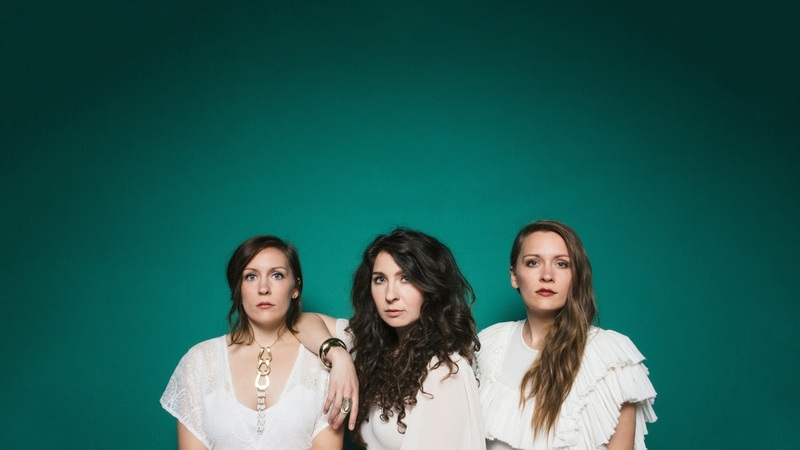 As three indie rock sisters from Portland, Oregon, they're bound to draw some comparisons to HAIM (mostly by me), but they've got their own sound going on. Also, the Women's March marketing team should co-opt "White Flag" for future promotional material and thank me later. When "Needle and a Knife" came on shuffle, I thought I was listening to Jenny Lewis. This husband and wife duo from Denver doesn't always sound like my beloved J Lew, but when they do, they have my attention. Shannon & the Clams appears to be one of the late additions that flooded the lineup post-Beyonce dropout. I'm a sucker for surf rock and this girl group from Oakland is no exception. I'm definitely a Crystal Castles fan, but I don't think I've seen them live since they replaced their lead singer Alice Glass in 2014. So it'll be interesting to see how the band has evolved over the past couple of years. For such a production-heavy group, I'm sure their set promises the same dancey good times I'm used to. A few years ago when one of our friends led an early charge into the festival to see Mac Demarco, I passed. Partially because I was painfully hungover and it was too hot to move, but mostly because I thought he was a DJ. This year, after listening to more of his music, I'm a big fan. And I won't even have to go in early if his third line placement is any indication. Glass Animals has been more or less living on the festival circuit since 2014. I have no idea if I saw them at Coachella in 2015, which could mean they weren't that memorable. But it could also mean a lot of other things (see above anecdote regarding hangovers and heat). 2016's "How to Be A Human Being" is a great album and has the perfect vibes for Coachella. One song sounded rockabilly, another metal. All of it en español. I like that Coachella is mixing in more Latino bands and artists. And I actually think this might be a really fun set. But there's no way in hell I'll leave camp early enough to actually make this happen. My synopsis of this band in my Coachella group text was that it would be a perfect set to take an afternoon nap to. That's not a burn... it's a real thing I think about and value in my 30s. 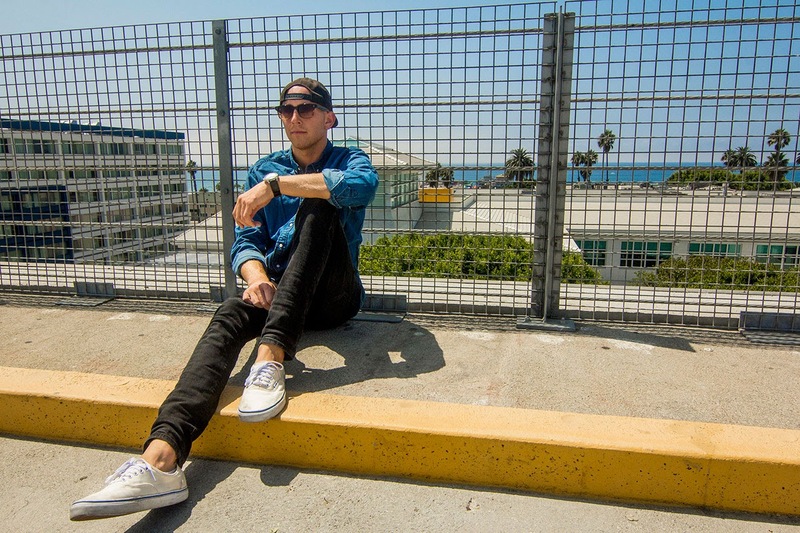 It's too hot to dance at Coachella, but if I was going to dance, it would be to SNBRN. My prediction is that this LA DJ will be one of the first to play Sahara for the weekend. Raury has worked with some of the same artists as Sampha and shares a lot of the same sensibilities, though he doesn't pull at my heartstrings a fraction as much. But something tells me his set time is going to be impossibly placed. I was surprised by how much I enjoyed this DJ duo. Listening to them, for the first time I truly understood how people could listen to electronic music in the background all day. Will I actually make it to their set? Absolutely not. But you should if you need a place to bop your head to some good beats Friday afternoon. Zipper Club is an indie trio (or supergroup, depending on who you ask) from LA who promises a solid, if not semi-forgettable, performance on Friday. With hazy indie rock tunes like their latest single, "Breath," this is a band I would absolutely watch from the beer gardens if they played the Outdoor stage. This London-based duo sounds like a hundred other alt-pop bands, but I like alt-pop so I don't mind it. Some songs are more danceable than others. Forever in the shadow of Lorde, BROODS is a brother-sister band from New Zealand. And if they wanted to step out of her shadow, they probably shouldn't have hired her producer. I don't know what to make of this band and their Bon Iver guest vocals and their regular collaborations with Chance the Rapper. I think that they might be secretly amazing and I just don't fully appreciate them yet... plus, I've heard their live shows are incredible. And you can bet Bon Iver's making an early guest entrance during this one. I feel like this is a sleeper set, and one that I would really enjoy if I make it. Miller's a 25 year old rapper from Pittsburgh who is constantly on the verge of overdosing. I'm going Weekend 1 and Ariana Grande is playing a show in FL on 4/14, but I wouldn't be surprised if she makes a guest appearance during his set Weekend 2. 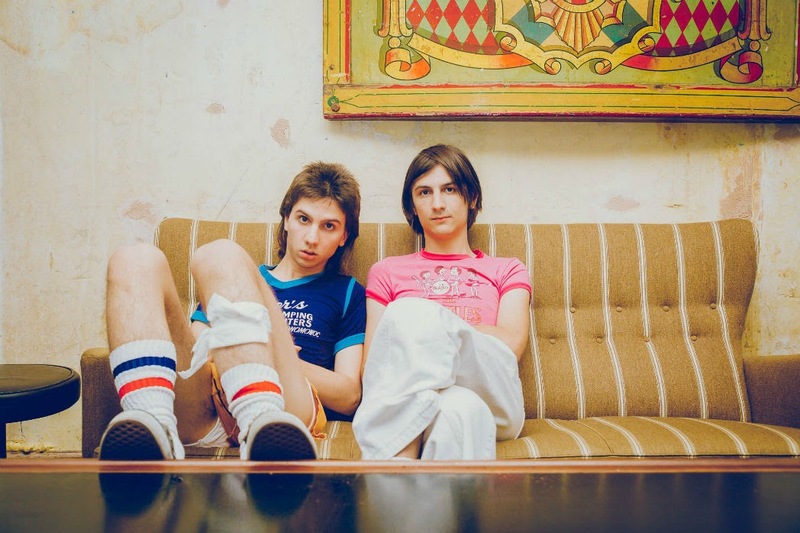 When I was listening to The Lemon Twigs on the way home from work one night I heard hints of The Beatles, Queen, Simon and Garfunkel, and a lot of 70's jams... some big comparisons for two teenage boys from Long Island. Still, I just wasn't that into it. While I like their music, I have this feeling their live presence will be a huge let down. I feel like this is the kind of set where the lead singer will get too drunk and talk the whole time. Every year there's someone on the lineup that's comprised of like, actual musicians. PHJB played in 2014 too and I vaguely remember someone trying to convince me to go see them then. I'm good. If SOHN only plays song like "Conrad," I can see this being a pretty chill place to waste the awkward stretch of afternoon when I never really know what I want to do. But otherwise it's too much of a downer for my Friday. I keep trying (and failing) to get into D.R.A.M. I'd give his set 5-10 minutes of my time max. This is like a Grimes or an Ellie Goulding situation all over again for me. Something about sultry synthpop singers with songs that sound more like loosely veiled revenge threats just don't do it for me. I really love their lyrics ("And every time I let you leave // I always saw you coming back to me // When and where did we grow cold? // I thought I had you on hold" .....OUCH), but I just can't seem to get into their sound. Still they're second on the lineup, so I'm sure I'll end up seeing some, if not all, of this set. And that's my Friday! What am I missing? Wow, looks like it was a busy day! :) Great post and blog!